* Please note that all visits expire within 4 weeks from the date of purchase. We are a high-performance training facility designed by athletes, for athletes and those looking to make a serious commitment to their long-term health. Experience Fitness provides athletes with an environment in which they can identify and work toward quantifiable improvements both inside and outside the training facility. With an emphasis on individualized goals and needs, each client is provided with unique programming and the coaching necessary to carry out these measures effectively. Recognized for its no-nonsense, motivating training environment with just the right mix of science and attitude, the knowledge displayed and results attained at Experience Fitness have led to success at local, national and international levels. 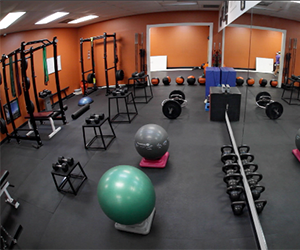 Experience Fitness, located in Cooper City, offers four categories of training for our clients. 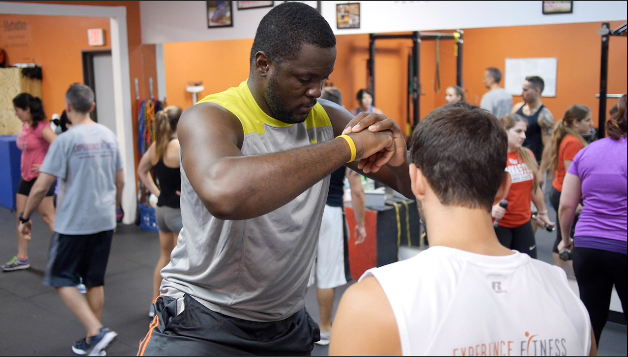 Our services include Small Group Training, Personal One-On-One Training, Athletic Training, and an Arm/Shoulder Care class. You can learn more about each class by clicking on the individual classes below. Schedule an appointment for our Group Training classes. Our small group training involves flexibility, mobility, and strength training. Our classes offer a 1 trainer for each class of no more than 4 people. Sign up today. Schedule an appointment for our One-on-One Training sessions. Choose from 30-60 minute appointments. Our One-on-One sessions provide you with undivided attention with specialized detail to our individual clients. Our new clients are first assessed and a 4 week plan is established. One-On-One Link. Schedule an appointment for our Athletic Program. Our athletic program specializes in baseball, softball, diving, gymnastic, soccer and all overhead sports. All athletes are assessed and placed on an individual plan. Our Athletic program is also perfect for shoulder health consisting of conditioning and strengthening. Sign up today. *Please note that all visits expire within 4 weeks of the date of purchase. Schedule an appointment for our Arm/Shoulder Care Program. Sign up today. We are results driven Trainers and all of our clients are assessed and programs are developed to specifically meet the client needs. Move Better, Feel Better, Get Stronger. Forrest Nelson founded Experience Fitness due to a strong need of qualified trainers. This was even more so for our athletic program. After 18 years of experience in Post Rehab Strength and Conditioning. He prides himself and his staff on the ability to individualize programs to meet the needs of Experience Fitness Clients. His qualifications are 18 years of training experience. He earned a B.S. in Health Sciences from Nova Southeastern University. He also earned an A.S. Degree in Physical Therapy Assistant from Broward College. He also holds a Certified Personal Trainer Certificate from the American Council on Exercise. Michael Christiansen has been with Experience Fitness since 2010. He earned a degree in Exercise Physiology from Nova Southeastern University inwhich he graduated with honors. Michael has lectured multiple times on the importance of exercise in youth and adult populations. He played high school soccer and continues to enjoy coaching athletes and playing sports. Experience Fitness has had a major impact on my life. Unique from other places, it not only focuses on making you stronger but also making you move better/ feel better. They have taught me so many things. I’ve been training with experience fitness for five years now and I’ve never felt better. One of the many things they do is motivate. Not only is does it improve your health but its so much fun! I always leave there with a smile on my face! I am a Junior at AMHS and Istarted training at Experience Fitness in December 2013. I am a runner and pole vaulter. I had suffered a hip injury due to my sport. Due to the Professional Training of Forrest, Mike and Kyle, I have been to overcome my injury and gain tremendous strength and fitness! They offer a safe and friendly enviroment for student athletes to reach their potential! I have been training ith Mike for over 2 years now. I see such an improvement in my muscle tone and stamina! Also, I have gone down two pant sizes since starting workouts. Mike is very conscientious about making sure that you are doing the exercise correctly as to avoid injury. He is constantly changing routines and works on all type of fitness such as cardio, ab, gluts, weights and balance. I have tried many other types of exercise programs but I have beenable to stick with this because Mike is so great to work with! I have been a client of Experience Fitness for five years now and will continue indefinitely, When I walked into their doors I weighed 210 and now I am 160. Forrest is an amazing personal trainer, who has vast knowledge of the ins and outs of exercise, posture, and nutrition. He is passionate in his training and pushes me beyond my limits. Every day is a challenge, and I can say Experience Fitness is my second home. 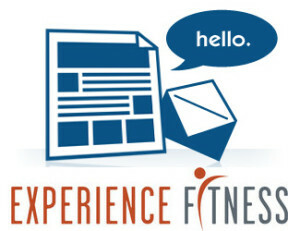 Sending a big thank you to Experience Fitness. When I started training with you, I could not bend, stoop, stand straight or walk without pain and always used the elevator because just looking at stairs was painful. I had more back, knee, neck and arm pain than anyone my age should have. I trained 3 days a week and slowly noticed I was in less pain every day. 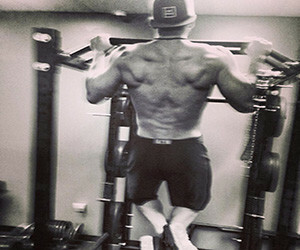 The specific exercises you designed just for me targeted all the muscles that I abused in my 33 year military career. My first sign that I was on the successful path to fitness was climbing a flight of stairs with no pain. The highlight of my training was the excursions on my Mediterranean cruise where I climbed the steep 138 Spanish steps and walked 5 miles every day; mostly uphill and on very rough terrain. This would not have been possible without the dedication and commitment to my health by you guys. I am forever grateful and look forward to every one of my workouts. Absolutely the best place ANYONE can go train at. The staff is knowledgable and experienced. These guys don’t have crappy certifications. They are the real deal. Personally I had a very crippling injury to my knee and hadn’t been able to run or squat in YEARS! I am now in the best shape I’ve been in years- and I’m 50 years old.